Starbucks lands in Italy: a tablet, please! Have you ever been in Starbucks for a coffee? I’m pretty sure you have. Starbucks is an American coffeehouse chain operating worldwide. No matter where you live, probably in your surroundings there’s a Starbucks! Maybe Italy is the only state in Europe where there’s no store so far, but things change fast and it seems the first one will open at the end of 2017 in Milano. 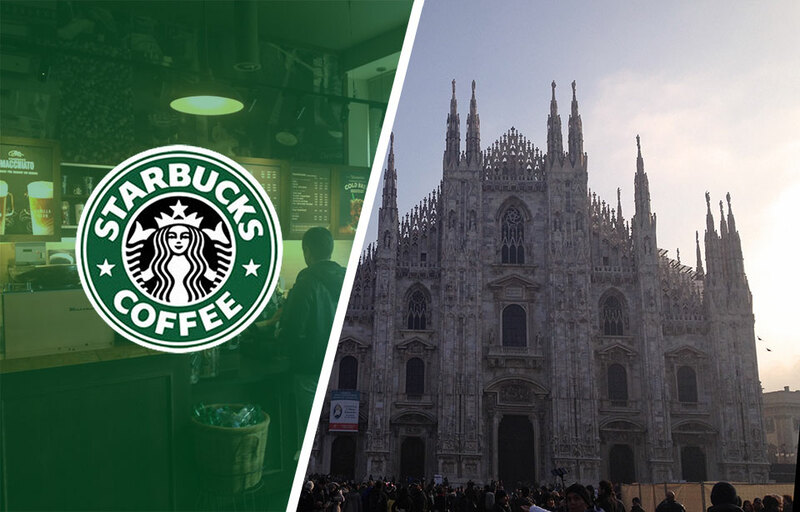 Will Starbucks survive in Italy? Sure, but not for coffee! 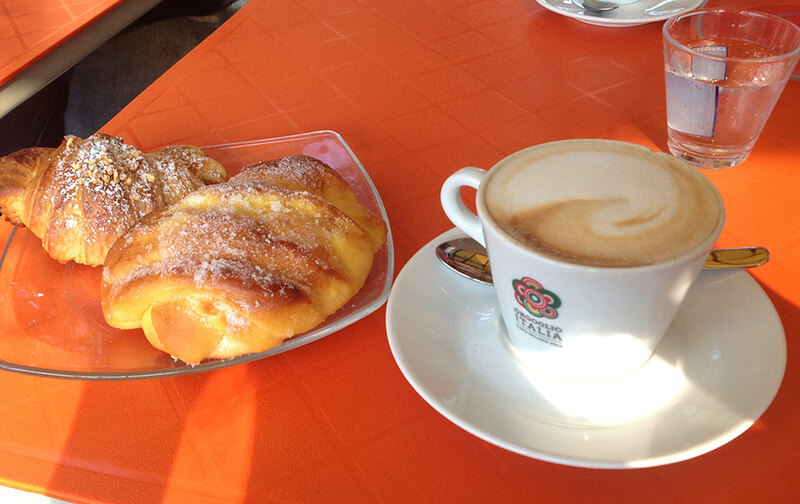 For Italian people coffee (still) means love, tradition, enjoying a break. Starbucks is a massive coffee house… but hey! It offers free wifi, comfortable sofas, delicious American sweets and drinks, so why not? However, there are some weak aspects and I think one is about the menu! Or at least the user interface of the menu. If you end up for the first time in a Starbucks, you raise your eyes to look at the menu over the counter and feel completely disoriented. If you are looking for a coffee, you’ll find yourself in a rush to decide between almost 10 different type of coffee: with caramel, with milk, with other spices or other things whose existence you ignored as Mocha, Java Chips and so on. The espresso is at the end of this long list. Since in Italy espresso is the most popular coffee drunk in coffee houses, it should be given the pole position at least in the italian stores. Good! You find your favorite coffee or you choose random, as I did last time…now choose the size! Ok, here it’s easier because you read them from left to the right, so that means the first one on the left is the smaller and the last on the right is the bigger. If you simply read the names, Tall, Grande, Venti, what do you understand? Grande and Venti are italian words, who means respectively “big” and “twenty”. Venti is related with the size, 20 oz, unit of measurement used mostly in the Anglo-Saxon countries, but definitively not in Italy. Which of these names means little? In Italy there’s no direct relationship between words and sizes and moreover there’s no significant word for the little coffee size other than “espresso”or “ristretto”. Finally is your turn, the waiter is waiting for your order. You feel already stressed from your fight with the menu and…the waiter asks you which type of coffee you want: arabic, bio or from New Zealand? Eh?! Too many things to choose, let this choice only to the people who want to choose, not to me. I just wanted a coffee! This experience was for me hard and stressful. In a traditional italian bar, is not uncommon that the waiter knows the client so good that he doesn’t even need to order. The client can just personalize its own drink by asking to the waiter. The menu over the counter is really brief, not because there are only few options, but because the menu is used to display only the main products, for any other personal options you ask to the waiter. In a massive coffee house like Starbucks that couldn’t obviously not work because they need to standardize the products and processes, but you cannot pretend the client to choose from a menu with such a load of information hanged up on the wall over the counter! As an user experience designer I would seriously recommend to change something to get a better and more enjoyable experience, especially in Italy, where slips and mistakes can occur more frequently given the particular coffee market. Sometimes even small changes can have big consequences: if usually food is placed in showcases and a little caption is enough to describe it, why not helping yourself by using images to better describe beverages? And why not using icons to better describe the size? Sometimes the physical world takes inspiration from the digital world: if the menu is just too complicated or long for the wall over the counter, why not introduce a menu on a tablet? The client could easily choose the beverage during the waiting along the line. 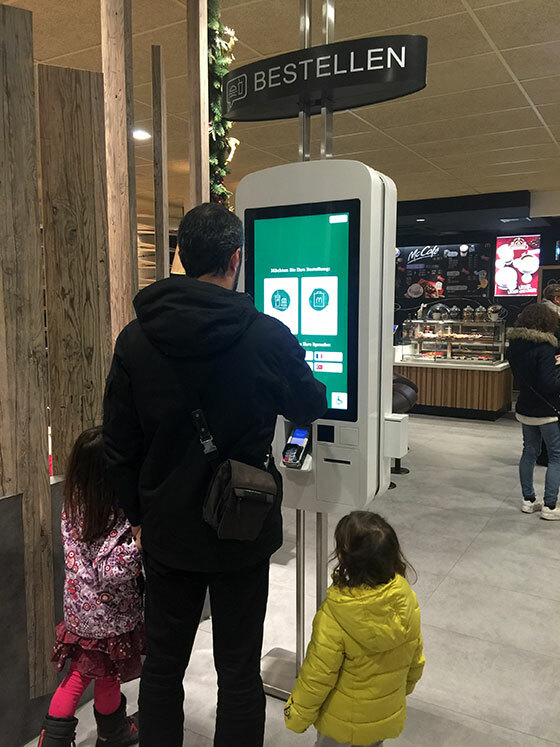 Mc Donald’s has recently introduced in their restaurant digital desks where ordering food and beverages away from stressing conditions. I personally tried it and it works very well, the experience is enjoyable (especially with kids). With a digital application I take my time to decide, I can change my ideas, I have no problem with the pronunciation and understanding of strange or foreigner names of meals and products: I do the main choices, I can easily check if there are current promotions or new products, I can choose my favorite meal in just few steps or with more options. 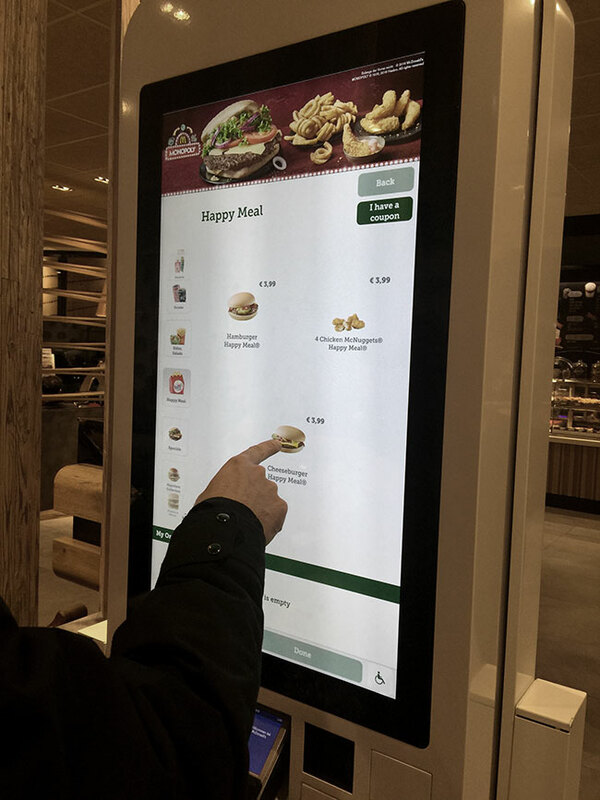 Personally I still find Mc Donald’s devices too big and invasive, maybe something more little would add privacy too, but sure for this kind of massive restaurant/cafè a digital menu could seriously improve the experience for the client. I don’t think that every restaurant should now introduce a digital desk, I love as well the tradition and having contacts with people, but in “industrial” coffees/restaurants waiters are trained to be robots: few personal contacts with people, speed and no errors. In this case, where tradition is just not possible and only a marketing move to attract people, a digital desk can improve the experience for the client (and for the waiter!). UI designer & Front-end Developer inspired by coffee, cakes and dirty kids. 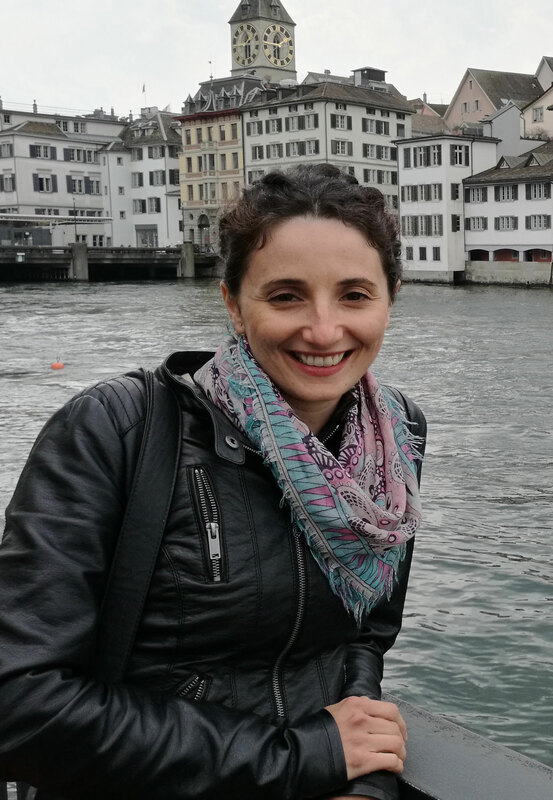 Lover of minimalistic and user centered design with many years of experience in website development. Dreamer and hungry. Based in Switzerland. Hello and welcome on my blog! Here you will find some reflections and analysis from my recent studies and works - as well as some interesting facts. Check them out and share your opinion with me now! ©2015 - Fragale Webdesign. All rights reserved.